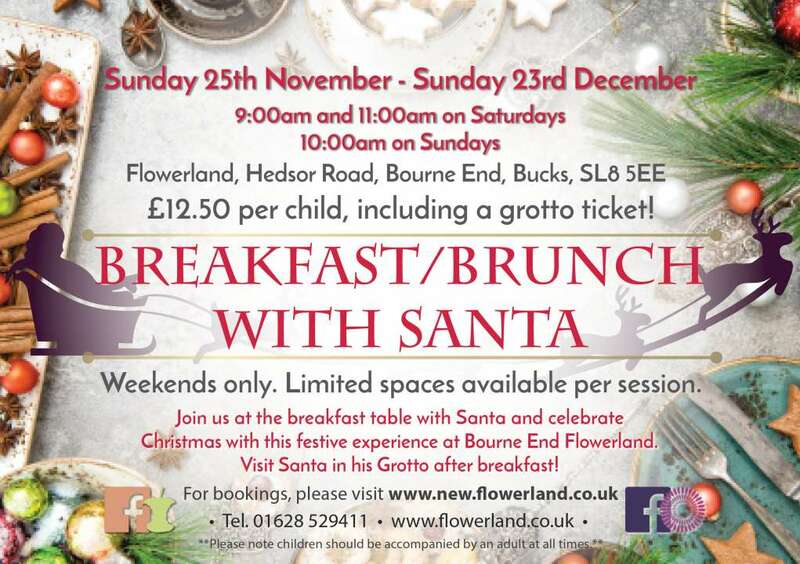 Join us on Sunday 25th November and every weekend in December (until Sunday 23rd December) for Breakfast with Santa, at our Bourne End Garden Centre, and visit Santa in his Grotto afterwards! To ensure your child can have the best time possible with Santa, please arrive promptly! £12.50 for a Child's ticket, which includes a grotto ticket! *All children must be accompanied by an adult at all times.